Simple acts of kindness can help share the gospel. Last year, we set a goal as a church family to initiate at least 1000 Gospel Conversations. We accomplished that goal together! So this year, we want to issue a new challenge, all for the sake of advancing the Kingdom of God in Moncks Corner, Berkeley County, and beyond!  Our goal for 2019 is to demonstrate the Gospel by performing 1,900 Acts of Kindness for people we do not know. Next year we will celebrate the 100th anniversary of our church. In preparation for reaching that milestone, we believe the best way honor Jesus is to be His hands and feet more than ever. What are "Acts of Kindness"? Show up to make home repairs for folks you know aren't able to do the work themselves. Donate old towels or blankets to homeless shelter. Surprise a neighbor you've never met with freshly baked cookies or treats! Let someone go in front of you in line, even if they have a full shopping cart. Write a letter of encouragement for a police officer and leave it under their windshield wiper. Keep in mind that though it's great to do these kinds of things for our church family or people we already know, we should be doing that anyway! This challenge is meant to be shared with people outside our existing circles and relationships. We had fun watching our "Gospel Conversation Wall" fill up with color throughout 2018. Each of those 1000 stickers represents a person who was introduced to or reminded of the good news of Jesus Christ. The stickers also served as a form of accountability for all of us, and an opportunity to see our progress. 1. Perform your Act of Kindness. Save 1900aok.com as a bookmark on your phone or computer. 4. Share your story on social media. Now that you're getting the hang of it, get creative and perform another Act of Kindness! Form will go live on Sunday, January 27. Join us at 8:30am or 11am for worship to hear the full announcement! Please keep my story anonymous. Please do not share my story.